This essay about the early days of digital type design was produced by Pixartprinting and written by Borys Kosmynka. This is the last part of the essay. Please also enjoy the previous parts I and II. This brings us to the introduction of OpenType 1.8 during the ATypI 2016 annual conference in Warsaw. Although the change does not lie in the way that the typeface is constructed—good old Bézier curves are still the best choice—a new way of storing the information in the file and interpretation of multiple masters was brought to light: variable fonts. These two words comprise probably the most seen phrase at recent type design conferences and the typographic social media environment. What it comes down to is that a designer can create instances of a typeface that can be interpolated not only between themselves but even further, wherever the designer puts the limit. The problem today is that a font family that has, for example, five instances of weight, three optical sizes, and, let’s say, an extra serif and a regular and italic version of each means that we need 5 × 3 × 2 × 2 font files to have everything. That adds up to sixty instances to browse through in design software… with multiple font files to upload to a web server for use on a website. A variable font could contain a light and bold, italic, optical sizes, and a serif variation. Thanks to this new technology, they can all extrapolate to create countless instances seamlessly or only those defined by the designer. OpenType 1.8 was a collaboration of industry—Apple, Microsoft, Adobe, and Google worked together toward a smooth introduction of the new standard. Between accepting OpenType as an ISO norm and this collaboration, the “Font Wars” came to an end. The weight shifted from trying to outrun the competition towards focusing on type design and the software engineering behind it to bring higher quality tools to type users. Both OpenType and the currently available tools for font creation allow for a much more detailed and advanced workflow which brings type design closer to what it was before the digital revolution began to make its mark on the world. I decided to select a few of the many great designers and showcase their fonts from the beginning of the digital era that. In my opinion, these designs reflect best practices that should still be kept in mind while working on a type design project. Some might argue that this kind of thinking may be a bit skeuomorphic and modern solutions should be more rooted in their own digital realm. However, centuries of alphabetic evolution and the way that lettershapes are perceived are deeply rooted in cultural traditions. This is one of the reasons for a big difference in non-Latin scripts—they cannot directly adopt the same practices that are used for Latin as their cultural evolution has a different background. Why is it important to use professional typefaces? Even if you or your client have no budget for purchasing a font, not to mention commissioning a custom project, it is always better to stick to the ones that are professionally designed. Today, such services Adobe Typekit, MyFonts, Fontstand, and others providev affordable solutions, even for freelancers. If you must use free solutions, there is always Google Fonts. Choosing this kind of service in a way guarantees that for one, the work was done by a type designer, tested in multiple ways and environments for bug detection, and usually provides broader language coverage. The spacing between the letters (which is a sacred thing for the industry) is not incorrect. – Do not tamper with the design to make it fit! – Be aware of possible OpenType features—good designs include numerous ligatures, substitution options, small caps, sub and superscripts, and variety of numbers for display, text, and table purposes. – Keep in mind the original design destination of the typeface—if someone already did the work, there must be something to it. What it all means for graphic designers and typographers? A single OTF file can contain up to 65,535 characters and glyphs. This is an unimaginable number if you consider that the English alphabet holds a mere 26 letters. Let’s add punctuation marks and numbers, consider that there are upper and lower cases, small caps, subscript, and superscript… but then there are various languages that use extended latin characters. A wide range of extra characters called diacritics comes in the picture. Not to mention other scripts—Cyrillic, Greek, Hebrew, Arabic, Devanagari, Thai… Unicode, which is a standard of numbering each of the glyphs and characters mentioned above, allows for a neat organization of all. 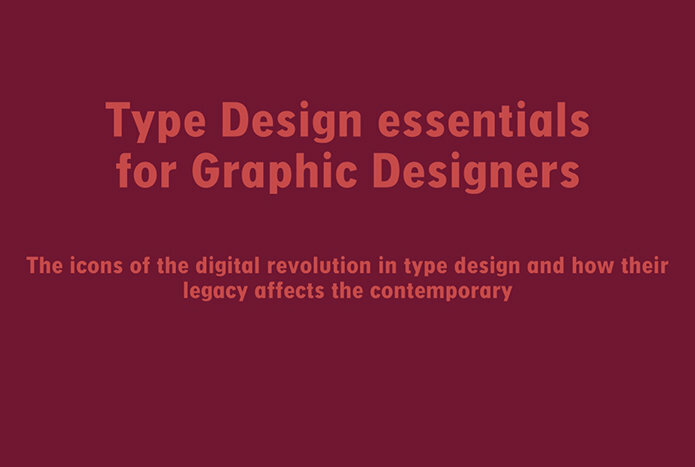 G graphic designers and typographers are given a powerful tool that extends greatly beyond the basic set of letters. The purpose of the whole story above is to illustrate that the meticulous process of designing a typeface is something not to be treated lightly. A designer must be aware of all the features of a chosen font and the circumstances that led to the design in the first place. Of course, that does not mean that there is no room for distortion or playing around with lettershapes; just that it should be done with reasoned intent. In the end, both type designers and graphic designers want to make the world a nicer place to look at in addition to the functional purposes served by design.